Any slot player who plays slot machines dreams of hitting the big jackpot that would take care of their money problems for the rest of their lives. The dream of all the symbols lining up to just the right combination and how you’d spend all that money is very very thrilling. Then you do a reality check, your instincts tell you that you have better chances of getting hit by a car than hitting that mega jackpot. Does that mean you should stop playing progressive slot machines? The odds of hitting that mega jackpot that would change your life are inconceivably large there are winners of jackpots who do hit it. You don’t have to stop playing all progressive video slots. You have to know what to expect realistically, then you can give it a good spin. There are of course, better progressive slot machines compared to the rest of the progressive slot machines. 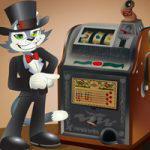 If you want to hit jackpots, you need to know the basics of progressive slot machines first. Progressive slot machines have bigger jackpots compared to the other video slot machines. That’s because progressive slot machines are linked together by a network. So a percentage of the bet any slot player on that network is contributing to the jackpot. If you apply the same logic, to online progressive slot machines, they have the larger jackpots, simply because there are a larger number of progressive slot players online. Progressive slot machine jackpots continue growing or ‘progressively’ until someone hits the correct winning combination of symbols for the big jackpot. The actual payback percentage will be less than that of other machines casino because the percentage of coins played make up the Progressive Jackpot. This is especially true to those progressive slot machines that offer life changing mega jackpots. 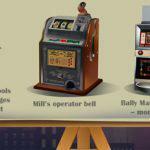 There are three main types of progressive slot machines as of now. The progressive slot machine that is not linked to any other slot machines is called the stand alone progressive slot machine. It doesn’t have a fixed jackpot. The jackpot increases as the player bets more. A percentage of the bet is added in the progressive jackpot. There’s a meter at the front that shows you what the jackpot amount is. Most of the time, the pay out is the same amount as the progressive slot machines of the same denomination. It’s just distributed a bit differently so you get a variety of amounts for top progressive jackpots. The jackpots from stand alone progressive slot machines are much lower than the ones from progressive casino slots that are linked together. Mega jackpots that can change a person’s life are offered by wide area progressive slot machines. These are progressive slot machines that are linked together within from a lot of casinos that are not related. An independent slot machine operator is running the slot machines instead of just a single casino or a gaming company. Slot machine manufacturers like IGT run games like Quatermania and MegaBucks in the United States. Basically the casino which has these progressive slots and games share a percentage of the winnings. But the free casino games online are run by the operator. You’re chances of getting the big jackpot are higher in wide area progressive slot machines. The jackpots in wide area progressive slot machines tend to be much bigger too because of the number of slot players that are playing on the network. But the payback percentage for these slot machines are lower because of the administrative costs and the cost of linking all these slot machines. In-house progressive slot machines are slot machines that are linked together across a bunch of casinos. The casinos are owned by the same gaming company. In-house progressive slot machines have big jackpots though they may not be in the millions. These progressive slot machines have more jackpot hits compared to the wide area progressive slots. You should try your chances of winning the big slot jackpots by playing at big progressive slot machines but that shouldn’t be the only place you play your slots. Keep aside some funds from your slots bankroll and use that to try out to win the big jackpot. Playing and winning slots depends on pure luck, it’s a lot like playing the lottery. Don’t spend all your money chasing the dream of winning that mega jackpot that’s going to change your life. If you’re really into progressive slot machines, give your attention to in-house progressive slot machines and stand alone slot machines. Your chances or winning are greater. 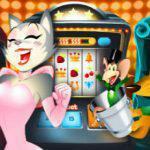 The most important thing you should be having while playing slots is to have fun. Slot machines are there for entertainment.